Come inside the Performance Corner® garage as we take you through the installation of some of today’s hottest truck accessories In this episode, we install the Sentry CT Rolling Truck Bed Cover from TruXedo on a 2019 Toyota Tundra. Want to check out more about TruXedo? While this is not a paid review, this content has been produced by The AAM Group™ in support of manufacturers with whom it has a business relationship. 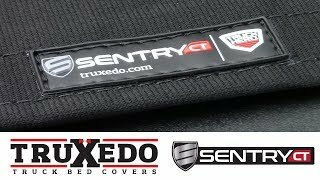 Come inside the Performance Corner® garage as we take you through the installation of some of today&#8217;s hottest truck accessories In this episode, we install the Sentry CT Rolling Truck Bed Cover from TruXedo on a 2019 Toyota Tundra.